Operation Weserübung (German: Unternehmen Weserübung [ˈveːsɐˌʔyːbʊŋ]) was the code name for Germany's assault on Denmark and Norway during the Second World War and the opening operation of the Norwegian Campaign. The name comes from the German for "Operation Weser-Exercise", the Weser being a German river. In the early morning of 9 April 1940 (Wesertag, "Weser Day"), Germany invaded Denmark and Norway, ostensibly as a preventive manoeuvre against a planned, and openly discussed, Franco-British occupation of Norway known as Plan R 4. 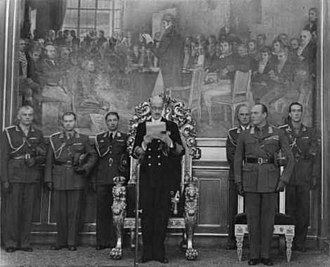 After the invasions, envoys of the Germans informed the governments of Denmark and Norway that the Wehrmacht had come to protect the countries' neutrality against Franco-British aggression. Significant differences in geography, location and climate between the two nations made the actual military operations very dissimilar. The invasion fleet's nominal landing time, Weserzeit ("Weser Time"), was set to 05:15. Starting in the spring of 1939, the British Admiralty began to view Scandinavia as a potential theatre of war in a future conflict with Germany. The British government was reluctant to engage in another land conflict on the continent that it believed would be a repetition of the First World War. Therefore, it began considering a blockade strategy in an attempt to weaken Germany indirectly. German industry was heavily dependent on the import of iron ore from the northern Swedish mining district, and much of this ore was shipped through the northern Norwegian port of Narvik during the winter months. Control of the Norwegian coast would also serve to tighten a blockade against Germany. In October 1939, the chief of the German Kriegsmarine, Grand Admiral Erich Raeder, discussed with Adolf Hitler the danger posed by the risk of having potential British bases in Norway and the possibility of Germany seizing these bases before the United Kingdom could. The navy argued that possession of Norway would allow control of the nearby seas and serve as a staging base for future submarine operations against the United Kingdom. However, the other branches of the Wehrmacht were not then interested, and Hitler had just issued a directive stating that the main effort would be a land offensive through the Low Countries. Toward the end of November, Winston Churchill, as a new member of the British War Cabinet, proposed the mining of Norwegian waters in Operation Wilfred. That would force the ore transports to travel through the open waters of the North Sea, where the Royal Navy could intercept them. Churchill assumed that Wilfred would provoke a German response in Norway, and the Allies would then implement Plan R 4 and occupy Norway. Though later implemented, Operation Wilfred was initially rejected by Neville Chamberlain and Lord Halifax for fear of an adverse reaction among neutral nations like the United States. After the start of the Winter War between the Soviet Union and Finland in November had changed the strategic situation, Churchill again proposed his mining scheme but once again was denied. In December, the United Kingdom and France began serious planning for sending aid to Finland. Their plan called for a force to land in Narvik, in northern Norway, the main port for Swedish iron ore exports and to take control of the Malmbanan railway line from Narvik to Luleå in Sweden on the shore of the Gulf of Bothnia. Conveniently, that would also allow the Allied forces to occupy the Swedish iron ore mining district. The plan received the support of both Chamberlain and Halifax. They were counting on the co-operation of Norway, which would alleviate some of the legal issues, but stern warnings issued to both Norway and Sweden by Germany resulted in strongly negative reactions in both countries. Planning for the expedition continued, but the justification for it was removed when Finland sued for peace with the Soviet Union in March 1940. Following a meeting with Vidkun Quisling from Norway on 14 December, Hitler turned his attention to Scandinavia. Convinced of the threat posed by the Allies to the iron ore supply, Hitler ordered Oberkommando der Wehrmacht (Armed Forces High Command; OKW) to begin preliminary planning for an invasion of Norway. The preliminary plan was named Studie Nord and called for only one army division. Between 14 and 19 January, the Kriegsmarine developed an expanded version of this plan. They decided upon two key factors: that surprise was essential to reduce the threat of Norwegian resistance (and British intervention); the second to use faster German warships, rather than comparatively slow merchant ships, as troop transports. That would allow all targets to be occupied simultaneously, which was impossible if transport ships were used, which travelled only slowly. The new plan called for a full army corps, including a mountain division, an airborne division, a motorized rifle brigade, and two infantry divisions. 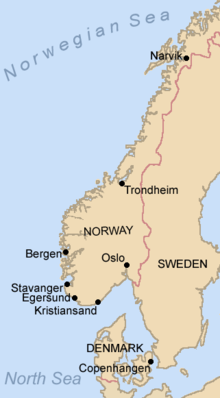 The target objectives of the force were the Norwegian capital Oslo and nearby population centres, Bergen, Narvik, Tromsø, Trondheim, Kristiansand, and Stavanger. The plan also called for the rapid capture of the kings of Denmark and Norway in the hope that would trigger a rapid surrender. On 21 February 1940, command of the operation was given to General Nikolaus von Falkenhorst. 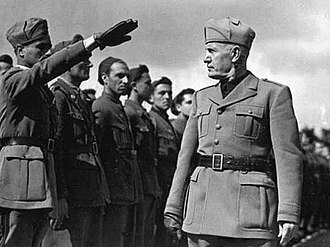 He had fought in Finland during the First World War and was familiar with Arctic warfare, but he was to have command only of the ground forces, despite Hitler's desire to have a unified command. The final plan was code-named Operation Weserübung ("Exercise on the Weser") on 27 January 1940. The ground forces would be the XXI Army Corps, including the 3rd Mountain Division and five infantry divisions, none of the latter having yet been tested in battle. The first echelon would consist of three divisions for the assault, with the remainder to follow in the next wave. Three companies of paratroopers would be used to seize airfields. The decision to also send the 2nd Mountain Division was made later. Almost all U-boat operations in the Atlantic were to be stopped for the submarines to aid in the operation. Every available submarine, including some training boats, were used as part of Operation Hartmut in support of Weserübung. Initially, the plan was to invade Norway and to gain control of Danish airfields by diplomatic means. But Hitler issued a new directive on 1 March that called for the invasion of both Norway and Denmark. This came at the insistence of the Luftwaffe to capture fighter bases and sites for air-warning stations. The XXXI Corps was formed for the invasion of Denmark, consisting of two infantry divisions and the 11th motorized brigade. The entire operation would be supported by the X Air Corps, consisting of some 1,000 aircraft of various types. German dead being brought ashore from the German naval tanker Altmark. The heavy cruiser Admiral Hipper landing troops in Norway in 1940. In February, the British destroyer HMS Cossack boarded the German transport ship Altmark while in Norwegian waters, thereby violating Norwegian neutrality, rescuing POWs also held in violation of Norwegian neutrality (the Altmark was obliged to release them as soon as she entered neutral territory). Hitler regarded this as a clear sign that the UK was willing to violate Norwegian neutrality, and so became even more strongly committed to the invasion. On 12 March, the United Kingdom decided to send an expeditionary force to Norway just as the Winter War was winding down. The expeditionary force began boarding on 13 March, but it was recalled and the operation cancelled, with the end of the Winter War. Instead, the British cabinet voted to proceed with the mining operation in Norwegian waters, followed by troop landings. The first German ships set sail for the invasion on 3 April. 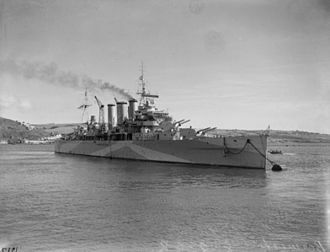 Two days later, the long-planned Operation Wilfred was put into action, and the Royal Navy detachment, led by the battlecruiser HMS Renown, left Scapa Flow to mine Norwegian waters. The mine fields were laid in the Vestfjorden in the early morning of 8 April. Operation Wilfred was over, but later that day, the destroyer HMS Glowworm, detached on 7 April to search for a man lost overboard, was lost in action to the German heavy cruiser Admiral Hipper and two destroyers belonging to the German invasion fleet. On 9 April, the German invasion was under way, and the execution of Plan R 4 was promptly started. Strategically, Denmark's importance to Germany was as a staging area for operations in Norway, and of course as a border nation to Germany which would have to be controlled in some way. Given Denmark's position on the Baltic Sea, the country was also crucial for the control of naval and shipping access to major German and Soviet harbours. At 04:00 on 9 April 1940, the German ambassador to Denmark, Cecil von Renthe-Fink, called the Danish Foreign Minister Peter Munch and requested a meeting with him. When the two men met 20 minutes later, Renthe-Fink declared that German troops were then moving in to occupy Denmark to protect the country from Franco-British attack. 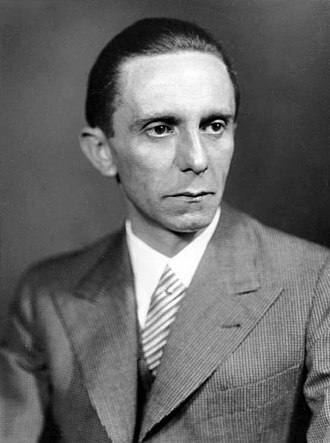 The German ambassador demanded that Danish resistance cease immediately and that contact be made between Danish authorities and the German armed forces. If the demands were not met, the Luftwaffe would bomb the capital, Copenhagen. German Leichter Panzerspähwagen armoured car in Jutland. As the German demands were communicated, the first German advances had already been made, with forces landing by ferry in Gedser at 03:55 and moving north. German Fallschirmjäger units had made unopposed landings and taken two airfields at Aalborg, the Storstrøm Bridge as well as the fortress of Masnedø, the latter being the first recorded attack in the world made by paratroopers. At 04:20 local time, a reinforced battalion of German infantrymen from the 308th Regiment landed in Copenhagen harbour from the minelayer Hansestadt Danzig, quickly capturing the Danish garrison at the Citadel without encountering resistance. From the harbour, the Germans moved toward Amalienborg Palace to capture the Danish royal family. 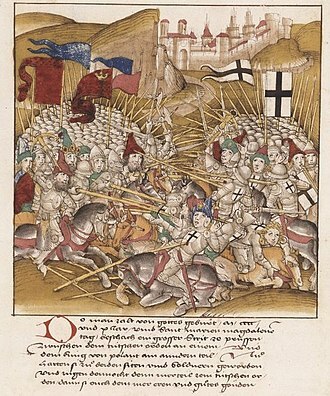 By the time the invasion forces arrived at the king's residence, the King's Royal Guard had been alerted and other reinforcements were on their way to the palace. The first German attack on Amalienborg was repulsed, giving Christian X and his ministers time to confer with the Danish Army chief General Prior. As the discussions were ongoing, several formations of Heinkel He 111 and Dornier Do 17 bombers roared over the city dropping leaflets headed, in broken Danish, OPROP! (proclamation). Danish troops at Bredevad on the morning of the German attack. Two of these soldiers were killed in action later that day. Faced with the explicit threat of the Luftwaffe bombing the civilian population of Copenhagen, and with only General Prior in favor of fighting on, King Christian and the entire Danish government capitulated at approximately 06:00, in exchange for retaining political independence in domestic matters. The invasion of Denmark lasted less than six hours and was the shortest military campaign conducted by the Germans during the war. The rapid Danish capitulation resulted in the uniquely-lenient occupation of Denmark, particularly until the summer of 1943, and in postponing the arrest and deportation of Danish Jews until nearly all of them were warned and on their way to refuge in Sweden. In the end, 477 Danish Jews were deported, and 70 of them lost their lives, out of a pre-war total of Jews and half-Jews at a little over 8,000. The operation's military headquarters was Hotel Esplanade in Hamburg, where orders were given to, among others, the air units involved in the invasion. Norway was important to Germany for two primary reasons: as a base for naval units, including U-boats, to harass Allied shipping in the North Atlantic, and to secure shipments of iron ore from Sweden through the port of Narvik. The long northern coastline was an excellent place to launch U-boat operations into the North Atlantic to attack British commerce. Germany was dependent on iron ore from Sweden and was worried, with justification, that the Allies would attempt to disrupt those shipments, 90% of which originating from Narvik. Shortly after noon on 8 April, the clandestine German troop transport Rio de Janeiro was sunk off Lillesand by the Polish submarine Orzeł, part of the Royal Navy's 2nd Submarine Flotilla. However, the news of the sinking reached the appropriate levels of officialdom in Oslo too late to do much more than trigger a limited, last-minute alert. Late in the evening of 8 April 1940, Kampfgruppe 5 was spotted by the Norwegian guard vessel Pol III. Pol III was fired at; her captain Leif Welding-Olsen became the first Norwegian killed in action during the invasion. 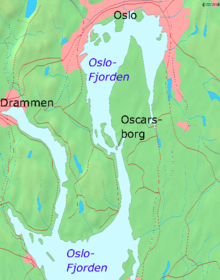 German ships sailed up the Oslofjord leading to the Norwegian capital, reaching the Drøbak Narrows (Drøbaksundet). 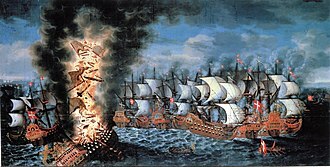 In the early morning of 9 April, the gunners at Oscarsborg Fortress fired on the leading ship, Blücher, which had been illuminated by spotlights at about 04:15. Two of the guns used were the 48-year-old German Krupp guns (nicknamed Moses and Aron) of 280 mm (11 in) calibre. Within two hours, the badly damaged ship, unable to manoeuvre in the narrow fjord from multiple artillery and torpedo hits, sank with very heavy loss of life totalling 600–1,000 men. The now obvious threat from the fortress (and the mistaken belief that mines had contributed to the sinking) delayed the rest of the naval invasion group long enough for the Royal Family, the Cabinet and members of Parliament to be evacuated, along with the national treasury. On their flight northward by special train, the court encountered the Battle of Midtskogen and bombs at Elverum and Nybergsund. As the Norwegian king and his legitimate government were not captured, Norway never surrendered in a legal sense to the Germans, leaving the Quisling government illegitimate. The Norwegian government-in-exile based in London remained, therefore, an Allied nation in the war. German airborne troops landed at Oslo airport Fornebu, Kristiansand airport Kjevik, and Sola Air Station – the latter constituting the first opposed paratrooper attack in history; coincidentally, among the Luftwaffe pilots landing at Kjevik was Reinhard Heydrich. Vidkun Quisling's radio-effected coup d'etat at 7.30pm on 9 April – another first. At 8.30pm the destroyer 'Æger' is attacked and sunk outside Stavanger by ten Junkers Ju 88 bombers, after it sunk the German cargoship 'MS Roda'. Roda was a carrying a concealed ammunition and weapons cargo. Cities/towns Bergen, Stavanger, Egersund, Kristiansand, Arendal, Horten, Trondheim and Narvik attacked and occupied within 24 hours. Heroic, but wholly ineffective, stand by the Norwegian armoured coastal defence ships Norge and Eidsvold at Narvik. Both ships torpedoed and sunk with great loss of life. First Battle of Narvik (Royal Navy vs Kriegsmarine) on 9 April. The German force took Narvik and landed the 2,000 mountain infantry, but a British naval counter-attack by the modernised battleship HMS Warspite and a flotilla of destroyers over several days succeeded in sinking all ten German destroyers once they ran out of fuel and ammunition. Devastating bombing of towns Nybergsund, Elverum, Åndalsnes, Molde, Kristiansund N, Steinkjer, Namsos, Bodø, Narvik – some of them tactically bombed, some terror-bombed. Main German land campaign northward from Oslo with superior equipment; Norwegian soldiers with turn-of-the-century weapons, along with some British and French troops (see Namsos Campaign), stop invaders for a time before yielding – first land combat action between British Army and Wehrmacht in World War II. Second Naval Battle of Narvik (Royal Navy vs Kriegsmarine) on 13 April. Land battles at Narvik: Norwegian and Allied (French and Polish) forces under General Carl Gustav Fleischer achieve the first major tactical victory against the Wehrmacht in WWII, and the following withdrawal of the Allied forces (mentioned below); Fighting at Gratangen. With the evacuation of the King and the Cabinet Nygaardsvold from Molde to Tromsø on 29 April, and the allied evacuation of Åndalsnes on 1 May, resistance in Southern Norway comes to an end. The "last stand": Hegra Fortress (Ingstadkleiven Fort) resisted German attacks until 5 May – of Allied propaganda importance, like Narvik. King Haakon, Crown Prince Olav, and the Cabinet Nygaardsvold left from Tromsø 7 June (aboard the British cruiser HMS Devonshire, bound for Britain) to represent Norway in exile (King returned to Oslo exact same date five years later); Crown Princess Märtha and children, denied asylum in her native Sweden, later left from Petsamo, Finland, to live in exile in the United States. The Norwegian Army in mainland Norway capitulated (though the Royal Norwegian Navy and other armed forces continued fighting the Germans abroad and at home until the German capitulation on 8 May 1945) on 10 June 1940, two months after Wesertag, that made Norway the occupied country that had withstood a German invasion for the longest time before succumbing. In the far north, Norwegian, French and Polish troops, supported by the Royal Navy and the Royal Air Force (RAF), fought against the Germans over the control of the Norwegian harbour Narvik, important for the year-round export of Swedish iron ore. 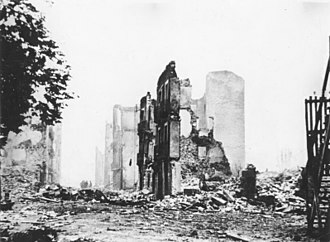 The Germans were driven out of Narvik on 28 May, but the deteriorating situation on the European continent made the Allied troops withdraw in Operation Alphabet, and on 9 June, the Germans recaptured Narvik, which was also now deserted by the civilians because of massive Luftwaffe bombing. Operation Weserübung did not include a military assault on (neutral) Sweden because there was no need. By holding Norway, the Danish straits and most of the shores of the Baltic Sea, the Third Reich encircled Sweden from the north, the west and the south. 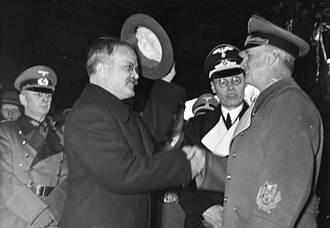 In the east, there was the Soviet Union, the successor of Sweden's and Finland's archenemy, Russia, on friendly terms with Hitler under the terms of the Molotov–Ribbentrop Pact. A small number of Finnish volunteers helped the Norwegian Army against Germans in an ambulance unit. Swedish and Finnish trade was dependent on the Kriegsmarine, and Germany put pressure on neutral Sweden to permit transit of military goods and soldiers on leave. 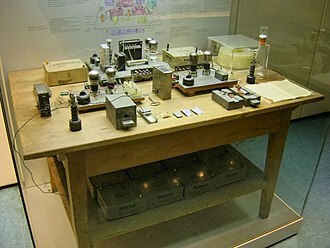 On 18 June 1940, an agreement was reached. Soldiers were to travel unarmed and not be part of unit movements. A total of 2.14 million German soldiers, as well as more than 100,000 German military railway carriages, crossed Sweden until that traffic was suspended on 20 August 1943. On 19 August 1940, Finland agreed to grant access to its territory for the Wehrmacht, with the agreement signed on 22 September. Initially for transit of troops and military equipment to and from northernmost Norway but soon also for minor bases along the transit road that eventually would grow in preparation for Operation Barbarossa. Two diary entries by Jodl dated 13 and 14 March did not indicate any high-level awareness of the Allied plan but also that Hitler was actively considering putting Weserübung into operation. The first said "Fuehrer does not give order yet for 'Weser Exercise'. He is still looking for an excuse". 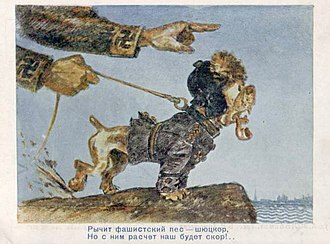 The second "Fuehrer has not yet decided what reason to give for Weser Exercise". It was not till 2 April 1940 that German preparations were completed and the Naval Operational Order for Weserübung was issued on 4 April 1940. The new Allied plans were Wilfred and Plan R 4. The plan was to provoke a German reaction by laying mines in Norwegian waters, and once Germany showed signs of taking action, UK troops would occupy Narvik, Trondheim, and Bergen and launch a raid on Stavanger to destroy Sola airfield. However, "the mines were not laid until the morning of 8 April, by which time the German ships were advancing up the Norwegian coast". The International Military Tribunal at Nuremberg determined that no Allied invasion was imminent and so rejected the German argument that Germany was entitled to attack Norway. a "The British plan which was adopted was more modest. While ostensibly intended to bring Allied troops to the Finnish front, it laid its main emphasis on operations in northern Norway and Sweden. 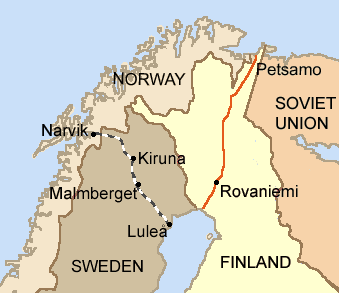 The main striking force was to land at Narvik and advance along the railroad to its eastern terminus at Lulea, occupying Kiruna and Gallivare along the way. By late April two Allied brigades were to be established along that line." b "The British held back two divisions from France, intending to put them into the field in Norway, and planned to expand their force eventually to 100,000 men. The French intended to commit about 50,000. The British and French staffs agreed that the latter half of March would be the best time for going into Norway." 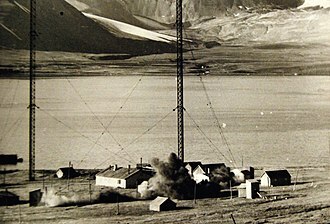 c "The objectives were to take Narvik, the railroad, and the Swedish ore fields","an intercepted radio message setting 14 March as the deadline for preparation of transport groups indicated that the Allied operation was getting under way. But another message, intercepted on the 15th, ordering the submarines to disperse revealed that the peace [in Finland] had disrupted the Allied plan." ^ Hooton 2007, p. 43. ^ Zabecki 2014, p. 323. ^ a b c d e Booth 1998, pp. 44-49. ^ Petrow 1974, p. 15. ^ Outze 1962, p. 359. ^ a b Schrøder 1999. ^ Danish Jewish Museum 2003. ^ Jacobsen, Alf R. (2016). Kongens nei - 10. april 1940 (2nd ed.). Oslo: Vega Forlag. p. 42. ISBN 978-82-8211-279-6. ^ Petrow 1974, p. 72. ^ Petrow 1974, p. 89. ^ Petrow 1974, p. 90. ^ McDouglas 1997, pp. 211-212. ^ a b c d e Yale Law School 2008. ^ Ziemke 1960, p. 68. ^ Ziemke 1960, p. 59. ^ Ziemke 1960, pp. 66–67. ^ Ziemke 1960, pp. 67–68. Booth, Owen (1998). The Illustrated History of World War II. London: Chartwell Books, Inc. ISBN 978-078581-016-2. Hooton, Edward R. (2007). Luftwaffe at War; Blitzkrieg in the West: Volume 2. London: Chevron/Ian Allan. ISBN 978-1-85780-272-6. McDouglas, Myres (1997). The International Law of War:Transnational Coercion and World Public Order. New York: Springer. ISBN 978-079232-584-0. 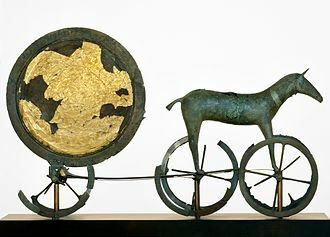 Outze, Børge (1962). Danmark under anden verdenskrig (in Danish). Copenhagen: Hasselbalch. ISBN 87-567-1889-6. Petrow, Richard (1974). The Bitter Years; The Invasion and Occupation of Denmark and Norway, April 1940-May 1945. London: William Morrow & Co. ISBN 978-068800-275-6. Schrøder, Hans A. (1999). 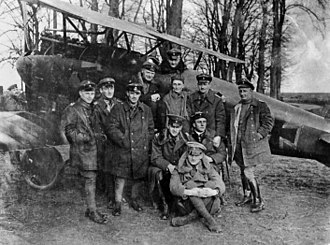 Angrebet på Værløse flyveplads den 9. april 1940 : flyveren Vagn Holms dagbog fra den 8. og 9. april suppleret med en omfattende dokumentation (in Danish). Denmark: Flyvevåbnets bibliotek. ISBN 87-982509-8-1. Zabecki, David T. (2014). Germany at War: 400 Years of Military History. London: ABC-Clio Inc. ISBN 978-1-59884-980-6. Ziemke, Earl F. (1960). "The German Decision to Invade Norway and Denmark". Command Decisions. United States Army Center of Military History. Retrieved 2016-08-18. The German invasion of Denmark was the fighting that followed the German army crossing the Danish border on 9 April 1940 by land and air. Lasting approximately six hours, the German ground campaign against Denmark was one of the shortest military operations of the Second World War, the attack on Denmark was planned as a part of the German Operation Weserübung Süd – the German plan for an invasion of Norway. The purpose was mainly to secure the iron ore shipping from Narvik, in order to capture Norway, the Germans had to control the airfield outside Aalborg in northern Jutland. Additionally, the Norwegian fjords provided excellent bases for German submarines to attack in the North Atlantic, on 4 April, Admiral Wilhelm Canaris, the chief of the Abwehr and involved in the German resistance to Nazism, warned the Danes of an imminent invasion. All that was available to meet the invasion were small and scattered units of the frontier guard. Believing attack was imminent, the troops were placed on alert at 13,30 on 8 April. The Danish border was breached at Sæd, Padborg, with the Kriegsmarine simultaneously landing troops at Lillebælt, the troops at the border were cut off at the beginning of the fighting. The alarm was sounded at 04,17, and the first Danish troops were dispatched at 04,35, a German column appeared at 04,50, and the 20mm cannons opened fire on the armoured cars while the machine gun took aim at the motorcyclists. A fire started in a barn, filling the air with smoke. Eventually the anti-tank platoon was forced to withdraw to Aabenraa, about 1.5 km to the north, a bicycle platoon had prepared a defence of a railway bridge. Fire from the cars and strafing fighter aircraft forced the Danes to retreat. The Germans lost two armoured cars and three motorcycles, while the Danes suffered one dead and one wounded, another German column reached Hokkerup a few miles east of Lundtoftbjerg at 05,30. They encountered a roadblock made with equipment, set up only 20 minutes before by 34 Danish soldiers. The Danes knocked out the three leading armoured cars, forcing them to pull back, the Germans set up a 37 mm gun 300 meters away, but it only managed to fire one round before being knocked out by two rounds from a 20mm gun. Narvik or Áhkanjárga is the third-largest town and municipality in Nordland county, Norway by population. The administrative centre of the municipality is the town of Narvik, other villages in the municipality include Ankenesstranda, Bjerkvik, Bjørnfjell, Elvegård, Skjomen, Håkvik, Hergot and Vidrek. The Elvegårdsmoen army camp is located near Bjerkvik, Narvik is located on the shores of the Ofotfjorden. The municipality is part of the district of Ofoten of Northern Norway. The municipality of Narvik was established on 1 January 1902 when the village of Narvik received status as a town and was separated from the large municipality of Ankenes. Initially, the town-municipality of Narvik had 3,705 residents, on 1 January 1974, the municipality of Ankenes was merged with the town-municipality of Narvik, forming a new, larger municipality of Narvik. After the merger, the new municipality of Narvik had 19,780 residents, on 1 January 1999, a small area of Narvik was transferred to Evenes. 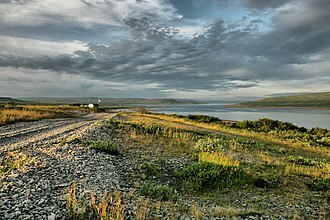 The town is named after the old Narvik farm, since the town is built on its ground, the Norse form of the name was probably *Knarravík, and the first element is the genitive pluralis of knarr merchant ship – the last element is vík inlet. The name Knarravík is found several places along the Norwegian coast, Narvik was originally called Victoriahavn after Queen Victoria of the United Kingdom, however Sweden’s Crown Princess Victoria was honoured. The coat-of-arms is from modern times, they were granted on 1 June 1951, the arms show a gold-coloured anchor on a red background. The anchor symbolises Narviks status as an important port, see also, Coats-of-arms of Lillesand and Nøtterøy The history of Narvik as a settlement began in the Stone Age. 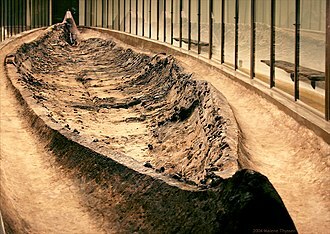 Not very much is known about these people, but the Vikings lived in this area, the history of modern Narvik begins in the 1870s, when the Swedish government began to understand the potential of the iron ore mines in Kiruna, Sweden. Obtaining iron ore from Kiruna had one significant problem in that there was no suitable Swedish port, the nearest Swedish port, Luleå, has limitations. 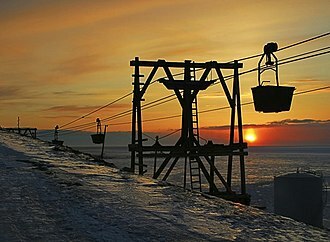 It is covered with ice all winter, it is far from Kiruna, Narvik was founded as an all-year ice free port for the Kiruna and Gällivare iron mines. The Winter War was a military conflict between the Soviet Union and Finland in 1939–1940. 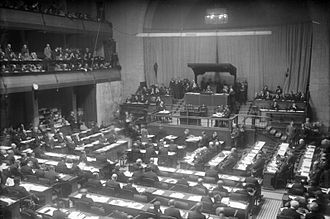 It began with the Soviet invasion of Finland on 30 November 1939, the League of Nations deemed the attack illegal and expelled the Soviet Union from the League on 14 December 1939. Finland refused and the USSR invaded the country, the Soviets possessed more than three times as many soldiers as the Finns, thirty times as many aircraft, and a hundred times as many tanks. The Red Army, had been crippled by Soviet leader Joseph Stalins Great Purge of 1937. With more than 30,000 of its officers executed or imprisoned, including most of those of the highest ranks, because of these factors, and high morale in the Finnish forces, Finland repelled Soviet attacks for several months, much longer than the Soviets expected. However, after reorganization and adoption of different tactics, the renewed Soviet offensive overcame Finnish defenses at the borders, hostilities ceased in March 1940 with the signing of the Moscow Peace Treaty. Finland ceded territory representing 11% of its area and 13% of its economy to the Soviet Union. Soviet losses were heavy, and the international reputation suffered. While the Soviet Union did not conquer all Finland, Soviet gains exceeded their pre-war demands and they gained substantial territory along Lake Ladoga, providing a buffer for Leningrad, and territory in northern Finland. 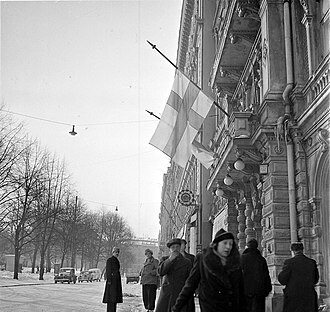 Finland retained its sovereignty and enhanced its international reputation, the end of the war cancelled the Franco-British plan to send troops to Finland through northern Scandinavia. One of the goals of the projected Franco-British operation had been to take control of northern Swedens iron ore. For this reason it was a factor in the launching of Operation Weserübung, Nazi Germanys invasion of Denmark. The poor performance of the Red Army encouraged Hitler to think that an attack on the Soviet Union would be successful, until the beginning of the 19th century, Finland constituted the eastern part of the Kingdom of Sweden. The British occupation of the Faroe Islands in World War II, known as Operation Valentine, was implemented immediately following the German invasion of Denmark and Norway. In April 1940, the United Kingdom occupied the strategically important Faroe Islands to preempt a German invasion, British troops left shortly after the end of the war. At the time of the occupation, the Faroe Islands had the status of an amt of Denmark, following the invasion and occupation of Denmark on 9 April 1940, British forces launched Operation Valentine to occupy the Faroe Islands. An announcement was broadcast by the BBC radio, an aircraft of the Royal Air Force was seen over the Faroese capital Tórshavn on the same day. On 12 April, two destroyers of the British Royal Navy arrived in Tórshavn harbour, following a meeting with Carl Aage Hilbert and Kristian Djurhuus, an emergency meeting of the Løgting was convened the same afternoon. Pro-independence members tried to declare the independence of the Faroe Islands from the Kingdom of Denmark but were outvoted, on 13 April, the Royal Navy cruiser HMS Suffolk arrived at Tórshavn. Colonel T B W Sandall and Frederick Mason met with the Danish Prefect, the Prefect responded with what Sandall took to be a formal protest, although Hilbert maintained that owing to the occupation of Denmark he was unable to formally represent the Danish government. 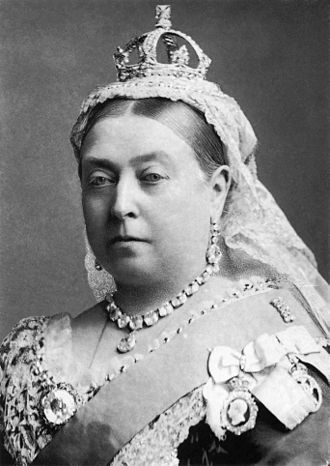 He duly accepted the British terms on the basis that the UK would not seek to interfere with the affairs of the islands. A formal protest was made by the Løgting, albeit expressing the wish for friendly relations,250 Royal Marines were disembarked, to be replaced by other British troops. In practice, cordial relations were maintained between the British forces and the Faroese authorities, in May, the Royal Marines were replaced by soldiers of the Lovat Scouts, a Scottish Regiment. In 1942, they were replaced by the Cameronians, from 1944, the British garrison was considerably reduced. The author Eric Linklater was part of the British garrison and his 1956 novel The Dark of Summer was set in the Faroe Islands during the war years. On 20 June 1940, five Swedish naval vessels arrived in the Faroe Islands, four were destroyers bought from Italy, one with civilian passengers, the fifth was a tanker converted to military status. Britain seized all the ships under armed threat, and moved them to the Shetland Islands, although Sweden was a neutral country and not at war with Britain, the British feared Germany would seize them if they continued to Sweden. After political negotiations Sweden secured their return, the British Navy had stripped equipment and caused damage to the ships, which Britain gave compensation for. The Swedish commander was criticized by other Swedish officers for conceding the ships without resistance, a plaque has been erected by British veterans in Tórshavn Cathedral expressing thanks for the kindness shown to them by the Faroese people during their presence. Approximately 170 marriages took place between British soldiers and Faroese women, the British Consul, Frederick Mason married a local woman, Karen Rorholm. The Kriegsmarine was the navy of Nazi Germany from 1935 to 1945. It superseded the Imperial German Navy of the German Empire and the inter-war Reichsmarine, the Kriegsmarine was one of three official branches—along with the Heer and the Luftwaffe —of the Wehrmacht, the armed forces of Nazi Germany. The Kriegsmarine grew rapidly during German naval rearmament in the 1930s, Kriegsmarine ships were deployed to the waters around Spain during the Spanish Civil War, under the guise of enforcing non-intervention, but in reality supporting the Franco side of the war. In January 1939 Plan Z was ordered, calling for naval parity with the Royal Navy by 1944, when World War II broke out in September 1939, Plan Z was shelved in favour of building submarines and prioritizing land and air forces. The Commander-in-Chief of the Kriegsmarine was Adolf Hitler, who exercised his authority through the Oberkommando der Marine, the Kriegsmarines most famous ships were the U-boats, most of which were constructed after Plan Z was abandoned at the beginning of World War II. However, the adoption of convoy escorts, especially in the Atlantic, after the Second World War, the Kriegsmarines remaining ships were divided up amongst the Allied powers and were used for various purposes including minesweeping. Adolf Hitler was the Commander-in-Chief of all German armed forces, including the Kriegsmarine and his authority was exercised through the Oberkommando der Marine, or OKM, with a Commander-in-Chief, a Chief of Naval General Staff and a Chief of Naval Operations. The first Commander-in-Chief of the OKM was Erich Raeder who was the Commander-in-Chief of the Reichsmarine when it was renamed and reorganized in 1935, Raeder held the post until falling out with Hitler after the German failure in the Battle of the Barents Sea. He was replaced by Karl Dönitz on 30 January 1943 who held the command until he was appointed President of Germany upon Hitlers suicide in April 1945, hans-Georg von Friedeburg was Commander-in-Chief of the OKM for the short period of time until Germany surrendered in May 1945. Subordinate to these were regional and temporary flotilla commands, regional commands covered significant naval regions and were themselves sub-divided, as necessary. They were commanded by a Generaladmiral or an Admiral, there was a Marineoberkommando for the Baltic Fleet, Nordsee, Ost/Ostsee, Süd and West. The Kriegsmarine used a form of encoding called Gradnetzmeldeverfahren to denote regions on a map, each squadron had a command structure with its own Flag Officer. The commands were Battleships, Destroyers, Torpedo Boats, Reconnaissance Forces, Naval Security Forces, Big Guns and Hand Guns, major naval operations were commanded by a Flottenchef. The Flottenchef controlled a flotilla and organized its actions during the operation, the commands were, by their nature, temporary. As a result the German surface fleet was plagued by design flaws throughout the war, military aircraft were banned, so Germany could have no naval aviation. Under the treaty Germany could only build new ships to replace old ones, All the ships allowed and personnel were taken over from the Kaiserliche Marine, renamed Reichsmarine. 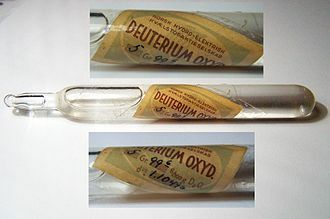 Although the operation was initially targeted at saving citizens of Scandinavian countries, it rapidly expanded to include citizens of other countries. All told, a staff of about 300 persons removed 15,345 prisoners from mortal peril in concentration camps. The term white buses originates from the buses having been painted white with red crosses and Norway were invaded by Germany on 9 April 1940. A number of Norwegians were immediately arrested, and two the occupying force established the first prisoners camp at Ulven, outside Bergen. The first groups of Norwegian prisoners arrived in Sachsenhausen camp in early 1940, arrests in Denmark began with the resignation of the coalition government in the summer of 1943. As the number of Scandinavian prisoners increased, various groups organised relief work for them, the Norwegian seamens priests in Hamburg, Arne Berge and Conrad Vogt-Svendsen, visited prisoners, brought them food and brought letters to their families in Norway and Denmark. Vogt-Svendsen made contact with the interned at Gross Kreutz. Together with other Scandinavians, the group at Gross Kreutz compiled extensive lists of prisoners, the lists were sent to the Norwegian government-in-exile in London through the Swedish embassy in Berlin. In Stockholm the Norwegian diplomat Niels Christian Ditleff engaged himself heavily with the fate of the Scandinavian prisoners, by the end of 1944, there were around 8,000 Norwegian prisoners in Germany, in addition to around 1,125 Norwegian prisoners of war. On the Danish side Admiral Carl Hammerich had long worked with plans for an expedition code-named the Jyllandskorps to save Danish. Hammerich had good connections with the Norwegian seamans priests, the Gross Kreutz group, by the beginning of 1945 there were around 6,000 Danish prisoners in Germany. 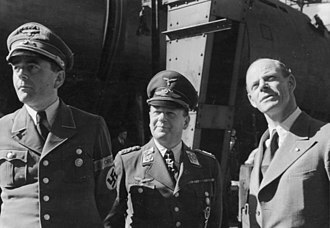 Hammerich visited Stockholm in February and July 1944 and discussed the plans with Ditleff, as the Allied forces approached Germany at the end of 1944, SHAEF decided what should be done regarding Allied prisoners. The Gross Kreutz group got to know about this policy a month and reacted swiftly and his arguments were that the prisoners risked being murdered and that they had to be rescued before Germany was occupied. The October 1944 report from Hjort was the first time a Swedish operation for the Scandinavian prisoners is mentioned, rescuing the prisoners was seen as a Norwegian responsibility and the Norwegian government was reluctant to give the Swedes any chance to distinguish themselves at the end of the war. In September 1944, Ditleff raised the question with Count Folke Bernadotte of the Swedish Red Cross, on 30 November, Ditleff delivered his memorandum Reasons for a Swedish operation for rescuing prisoners to the Swedish foreign office, but still on his own initiative. 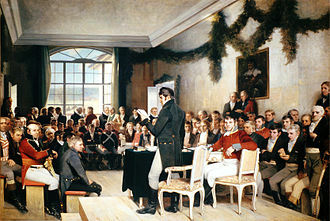 On 29 December, the Norwegian government changed its position and instructed its embassy in Stockholm to discuss the possibility of a Swedish operation targeting Scandinavian prisoners, while Ditleff tried to influence the exiled Norwegian government the Danes obtained a German permit to retrieve prisoners. The first ones transported back to Denmark were Danish policemen from Buchenwald, by the end of February 1945, the Danes had transported 341 prisoners home, most of them ill.
Eastward view of Molde. Molde Cathedral (left). View of Molde from the Molde archipelago. 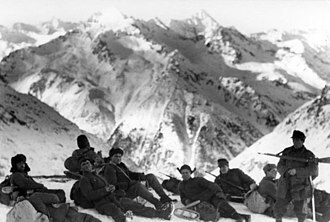 Gebirgsjäger group in late 1942 during the Battle of the Caucasus. Central Narvik in summer with a view on the freedom monument 'Liv opp av kaos' ('Life out of chaos', 1956) by Narvik's sculptor Gunnar Olaf Finn Eriksen. Headquarters of the Schalburg Corps, a Danish SS unit, after 1943. The occupied building is the lodge of the Danish Order of Freemasons located on Blegdamsvej, Copenhagen. Danish soldiers man an anti-aircraft gun, 1940. 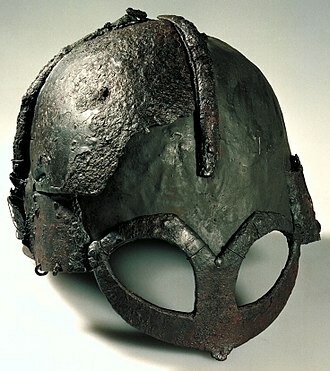 All wear the distinctive Danish helmet. A group of Danish soldiers on the morning of the German invasion, 9 April 1940. Two of these men were killed later that day. 126 German airplanes shot down by the 303 Squadron during the Battle of Britain. Painted on a Hurricane. M1917 Enfield used by resistance group in Haslev. Railway shop workers in Frederiksværk built this armored car for offensive use by the Danish resistance. 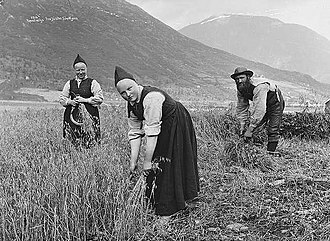 It was employed against Danish Nazis, known as the Lorenzen group, entrenched in the plantation of Asserbo in North Zealand, May 5, 1945. An American pilot in occupied Copenhagen is watched over by the Danish resistance. March, 1945. Swedish white buses gathered in their field headquarters at Friedrichsruh. On April 19, 1945 The White Buses started driving prisoners from concentration camps in Germany. As a young citizen, Stig Svensson was a volunteer driver on one of the White Red Cross Buses (not the one in the picture). "I'll never forget what I've seen" he said in a 1992 interview. Gestapo officers escorting the "white buses"
Rybachy Peninsula in 2008. The Soviet Union demanded that the peninsula, the northernmost point of Finland at the time, be ceded along with other areas to protect Soviet assets. 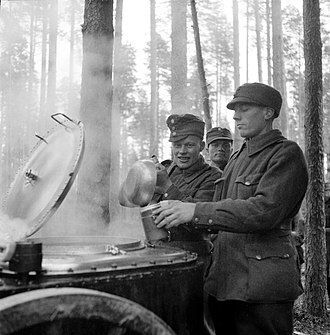 Finnish soldiers east of Kestenga in the arctic forest. This grave at the "Memorial for the Defenders of the Soviet Arctic" on the Litsa River symbolizes the savagery of a four year long Arctic stalemate. King Christian X was said by Time to be "less unpopular in Iceland than any other Danish sovereign has ever been". A Supermarine Walrus aircraft, though it proved ultimately unsuitable for operations in Iceland, had the advantage that it could land almost anywhere. Initial British aims were to destroy landing grounds (blue) and secure harbours (red). The Hydroelectric Plant in 2008. The Hydrogen Production Plant building was demolished in 1977. German infantry attacking through a burning Norwegian village, April 1940. 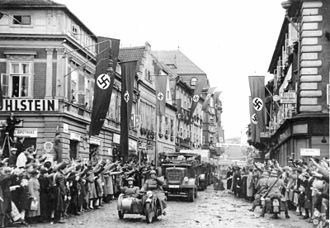 German troops enter Oslo, May 1940. In the background is the Victoria Terrasse, which later became the headquarters of the Gestapo. General Fleischer's gravestone at Vår Frelsers gravlund. Memorial to Fleischer and the 6th Division at Lapphaugen in Troms, Norway. The memorial stone is flanked by heavily modernized ex-German 10.5 cm leFH 16 field howitzers. Carton de Wiart, pictured here in the First World War as a lieutenant colonel. 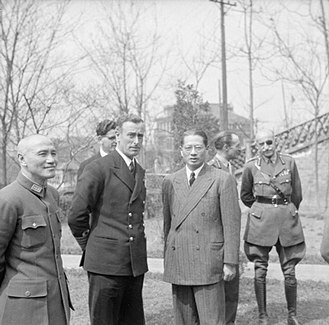 Supreme Allied Commander South East Asia: Mountbatten with General Chiang Kai-Shek (left) and Dr T V Soong (right). In the background are Captain R V Brockman, Lt Gen F A M Browning and General Carton de Wiart VC at Chungking.